Go GaGa over this fun group game! 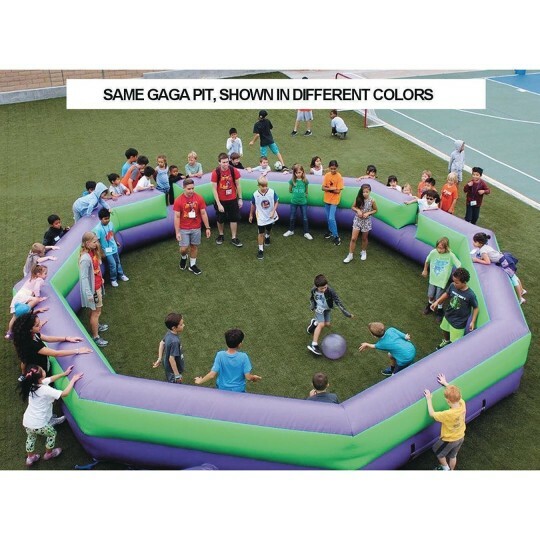 This fully portable GaGa system was designed by camp, fitness and GaGa experts! 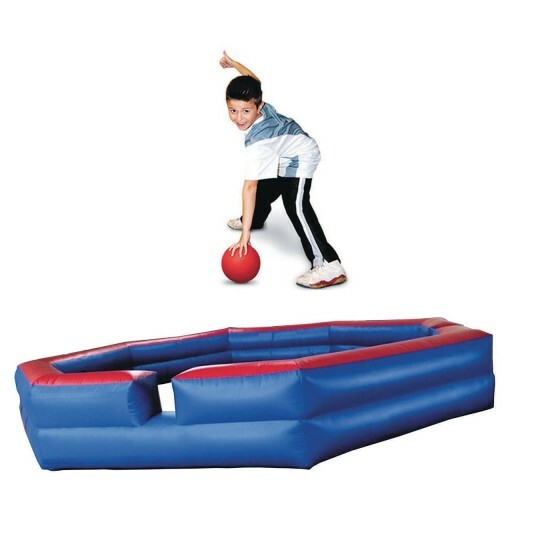 GaGa Ball engages large groups with active play and promotes fun and motor skills in a safe environment. The game is played somewhat like friendlier version of dodgeball where kids get inside a “pit” and try to eliminate their opponents by slapping a ball into them below their knees. All players (no matter athletic skill level) are on equal playing ground. Requires 1 HP blower motor (sold separately, use W13006 or equivalent). - For indoors and outdoors: use it inside on rainy days or cold days or on any outdoor surface when the weather is nice. 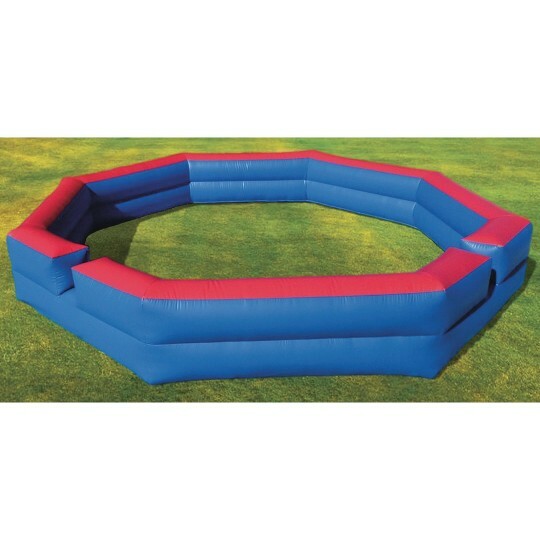 Four tie-down straps and rings mean you can secure the pit to the ground on windy days. - Quick set-up as it deploys and inflates in under 5 minutes! 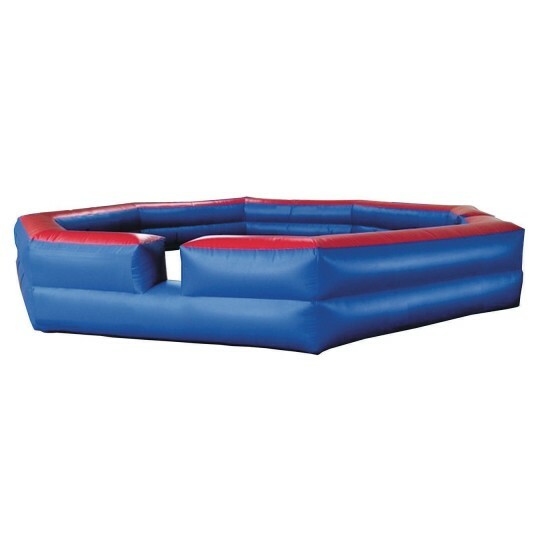 - Safe to use with no dangerous hard edges and with enough room to avoid collisions between players. 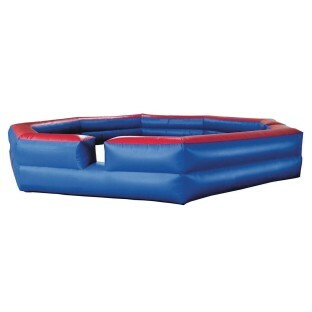 - Large 24’ octagon court with 3’H walls and two easy-to-use exit/entry points. 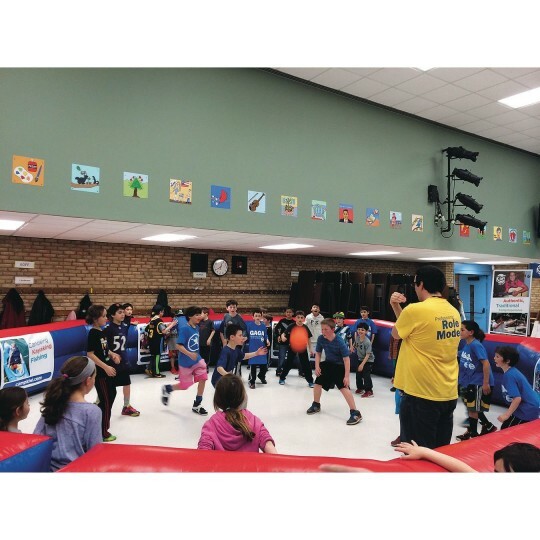 With a total of 400 square feet of playing area this pit can accommodate up to 25 younger kids and about a dozen teenagers. - A great group activity allowing up to 25 kids playing at once. 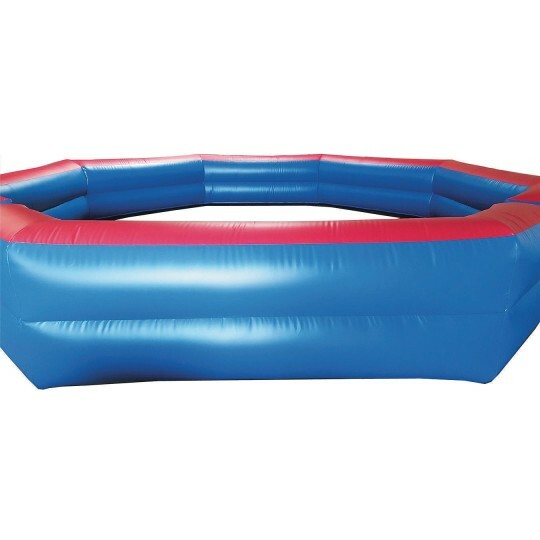 - Convenient since it deflates to a 46” x 24” x 24” size, includes a quick wrap carry case with four Easy-Go carry handles and weighs only 110 pounds. Large airflow zipper allows for super fast deflating and is covered by a Velcro® flap to prevent unwanted access. NOTE: This item is made to order by the U.S. factory and because of that orders cannot be returned once the package is opened. Unopened orders can be returned, but the customer will have to pay a $250 re-stocking fee and pay return shipping.